Speaking afterwards, Robert said: "Pleased to hear from the Education Minister this afternoon that the introduction of T Levels is progressing well. 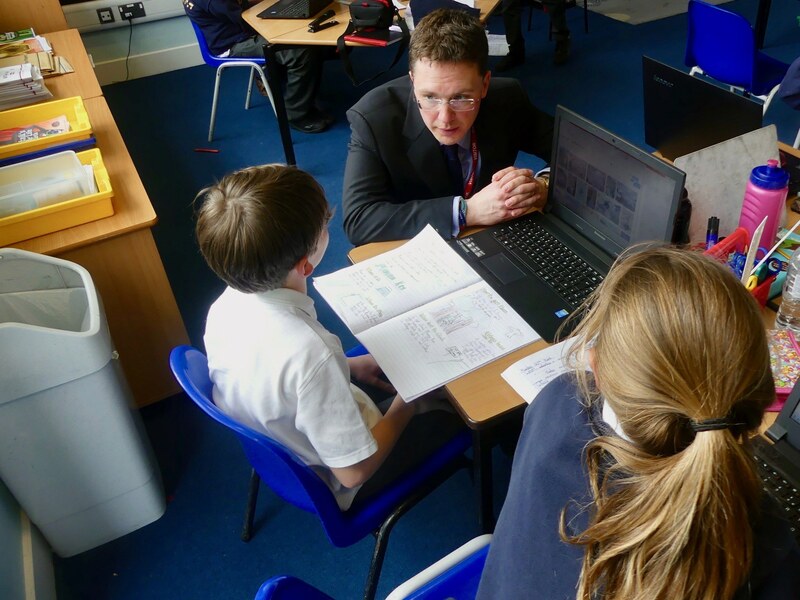 Robert has met with the Schools Minister, Nick Gibb, along with other Oxfordshire MPs to discuss a range of issues relating to local schools. Robert said, "It was a fantastic assembly at Hanborough Manor - I loved the enthusiasm of pupils, and they made some excellent points in our debate. However, the Commons overruled the Lords and decided to pass a Bill which would scrap all lessons and only do P.E. Robert officially opens St Mary's Infant School's new playground! Robert said, "It was a pleasure to join staff, pupils and parents to officially open the new playground at St Mary's Infant School. This has taken a lot of hard work and generosity, not least from parents who donated more than £30,000. Robert said, "I greatly enjoyed visiting Enstone Primary School and I would like to thank staff and pupils for showing me around. I was particularly impressed by the enthusiasm of pupils during my assembly, and he voted to dedicate two whole days to PE lessons!" Robert said, "It was great to meet with staff at the nursery, and learn how important it is to local working families. We had an interesting discussion about the effects of policy changes 'on the ground', and I look forward to staying in touch." Robert held a photography competition, open to all West Oxfordshire pupils, and welcomed the winners to Parliament. You can see all the winning entries above.